I appreciate that West Texas has such rich culture and diversity. I’m excited to stop by the Business Mercado in Lubbock to honor Hispanic heritage and support local Hispanic-run businesses and culture. This week is also the Lubbock Chamber of Commerce’s Hispanic Heritage Luncheon and Texas Tech’s Celebrate Diversity Awards Banquet. In Texas, we’re lucky to have such rich culture to celebrate. I’m also proud to have such a strong agriculture industry in Texas. 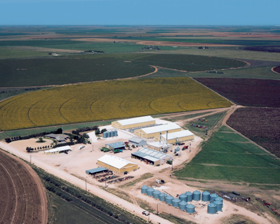 This week I’ll tour the over 60 years running Bamert Seed Company in Muleshoe. They sell over 200 species of native grasses, forbs, and legumes all over the country. I’ll also meet with the Plains Cotton Growers. I’m interested to hear their thoughts on the rollout of the Farm Bill so far and an update on the upcoming harvest, as well as any other issues impacting agriculture on their mind. I’ll also head over to Morton Lions Club this week to thank them for their service and discuss their legislative priorities. And then, of course, Dana and I will finish off the week by watching Tech beat Kansas on our home field. Wreck ‘em, Tech!